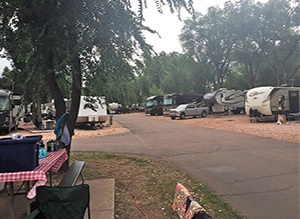 Now branded Foot of the Rockies RV Resort, this is a small RV park / resort in central Colorado Springs. Built in conjunction with the Personal Warehouse product at the base of the park. Operational. Contact Us for Information.